A group of our parents led by Mrs Gambrell and Mrs Rothera are currently working on a project to renovate the pond area. This is being linked in with advice from various organisations and a bid to the Big Lottery Fund. It is hoped that the area will be used to support teaching in school but also as a community resource for other schools and organisations. At the moment, a lot of tidying up has been done and the team have put together the funding bid. The attached plan has been prepared for us by Mr Porritt and we are very excited about the opportunities this project can give. 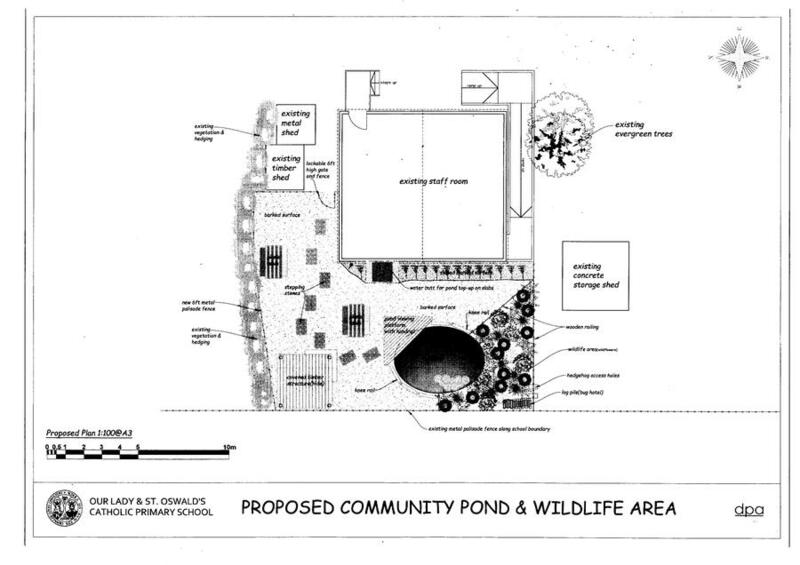 A small copy of the proposed plan is shown below, a larger, colour version will be on display in school next term. We would like to thank everyone who is contributing their time and efforts towards this project.